Good-quality Red Delicious apples will be firm with smooth, clean skin and have a rich red color that is sometimes streaked lightly with yellow or with a yellow cheek. Test the firmness of the apple by holding it in the palm of your hand. (Do not push with your thumb). It should feel solid and heavy, not soft and light. Fresh Red Delicious Apples are available from Washington from September through December while cold storage product is available the rest of the year. Apples are very low in Saturated Fat, Cholesterol and Sodium. They’re also a good source of Dietary Fiber and Vitamin C.
Red Delicious are sweet and juicy making this an excellent juicing apple. 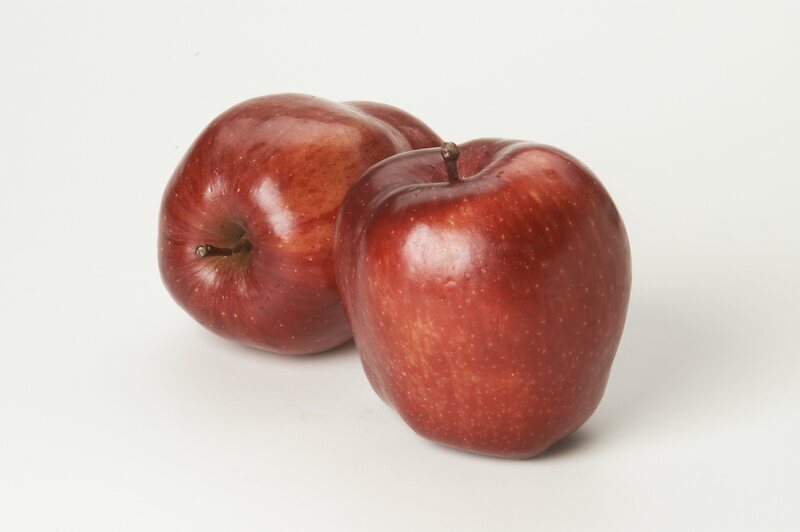 Red Delicious apples are sometimes available organically – especially in the Northwest US.